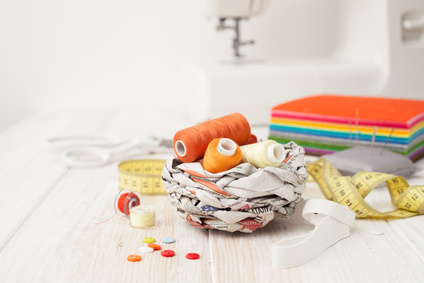 A high-end fabric manufacturer needed to send hundreds of intricate sales kits throughout the US. This bulk mail project required significant attention to detail and had a tight deadline. Correct handling of the project was critical. The sales kits required significant attention to detail. Each kit had to be assembled exactly as specified and the company was on a tight deadline. In addition, because the sales kits were large and complex, involving many pieces, the manufacturer really didn’t know who could help them complete this project. A referral sent them to CMS. As specialists in fulfillment, CMS created a sample sales kit – which was approved by the client. The process for creating this sales kit was then replicated 500 times. Changes were made by the client during the process, but CMS was able to make the changes without any issue. The approved kits were then shipped throughout the US. The CMS teams, both Customer Service and Operations, are experienced in putting together these types of complex mailings on a daily basis. The project was accomplished quickly and correctly, providing expert service and peace of mind to our client. This fabric manufacturer is now a consistent customer with CMS.